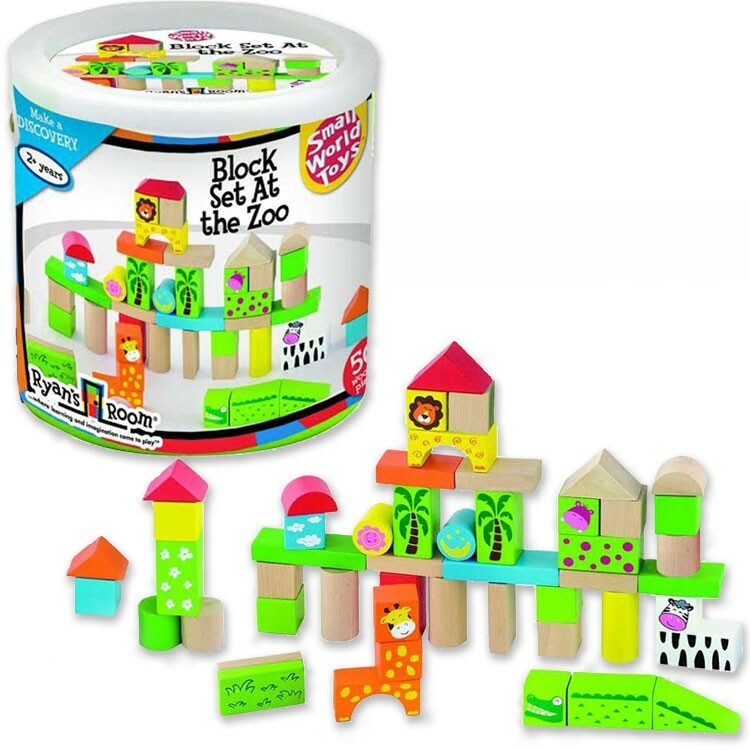 At the Zoo 50 pc Building Blocks Set comes with colorful assorted wooden shapes to create your own zoo without ever leaving home. 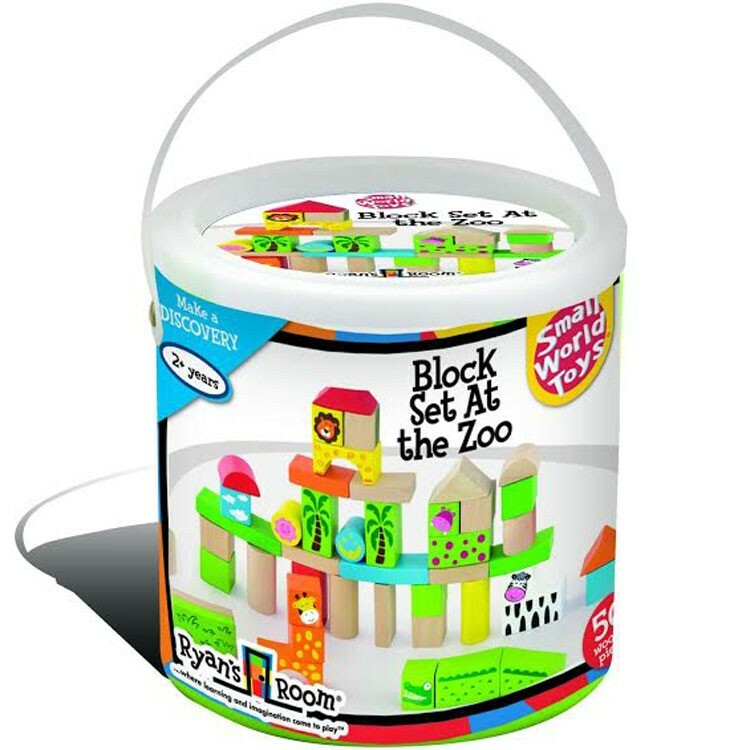 Let's build our own zoo! 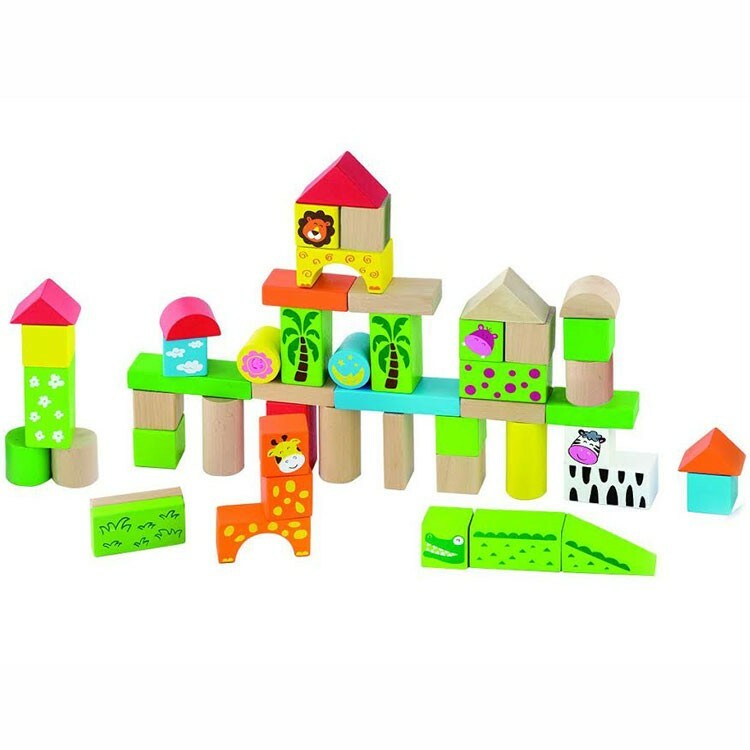 At the Zoo 50 pc Building Blocks Set comes with colorful assorted wooden shapes to create your own zoo without ever leaving home. 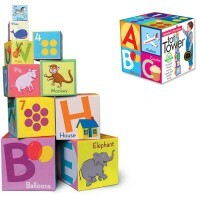 Offered by Educational Toys Planet, this toddler stacking blocks set features vivid color shapes featuring natural park elements and different animal creatures. 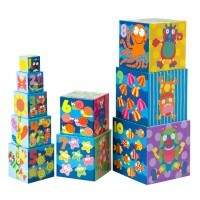 Stack up the cubes to make a giraffe. Find a place for a 3-piece alligator. Build a home for a friendly lion. 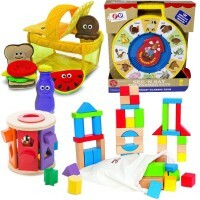 Imagine, design, and build your own zoo, plus don't forget to take care of your zoo animals! 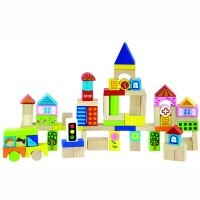 At the Zoo 50 pc Building Blocks Set includes 50 quality wooden cubes. 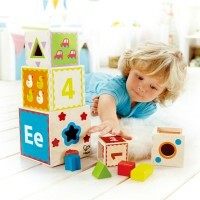 This animal theme blocks set, as all Ryan's Room toys, features safe designs and durable child-friendly materials. 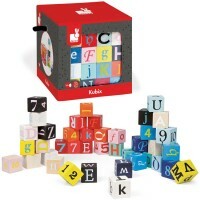 The block set is neatly packed in a storage barrel with a lid and carrying handle. 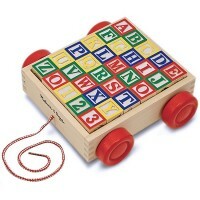 Easy to take to the grandma's house or any other place, this toddler zoo playset is great for encouraging pretend play, creativity, manipulative skills and learning how to identify animals! 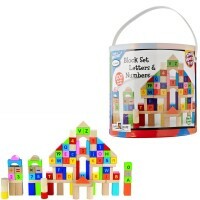 Dimensions of package 4" x 11" x 9"
Write your own review of At the Zoo 50 pc Building Blocks Set.